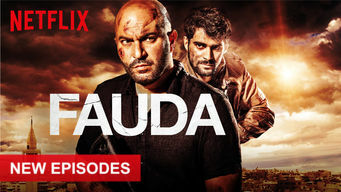 How to watch Fauda: Season 2 (2018) on Netflix Canada! Yes, Fauda: Season 2 is now available on Canadian Netflix. It arrived for online streaming on May 24, 2018. We'll keep checking Netflix Canada for Fauda: Season 2, and this page will be updated with any changes. A top Israeli agent comes out of retirement to hunt for a Palestinian fighter he thought he'd killed, setting a chaotic chain of events into motion. For two enemies caught in a deadly spiral, the line between justice and vengeance is thin. And everything is personal. Season 1 of Fauda has 12 episodes. Because different Netflix countries have different availability for episodes, you'll need to check the episode listing below to see which are available in Canada. Discovering that Abu Ahmed will attend his brother's wedding, Doron joins his old team for a covert strike, but the plan quickly goes off the rails. Having tasted action again, Doron pleads with Moreno to rejoin the squad. Meanwhile, Amal determines to martyr herself to avenge her husband. Abu Ahmed leans on Walid to organize an immediate retaliatory attack, and Doron and Nurit go undercover to close in on their quarry. Doron sets his sights on recruiting Shirin to his cause, Abu Ahmed risks his life to see his wife, and Moreno sends the team on a daring daytime raid. 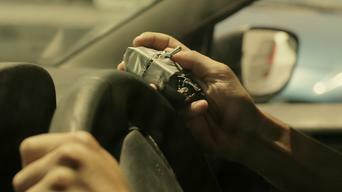 A senior Israeli officer tries to smoke Abu Ahmed out of hiding. Ali fights suspicions of duplicity, and Boaz joins the squad on a risky ambush. Blamed for the disastrous ambush, Doron takes matters into his own hands and asks the team to join him on a mission to set things right. While Moreno tries to track down the rogue team, Doron sinks his hooks deeper into Shirin and takes drastic measures to make a prisoner exchange. In the wake of the prisoner exchange, Doron disappears, Walid confronts Abu Ahmed about his tactics, and Moreno's boss threatens to dissolve the team. While suspicion grows between Abu Ahmed and his inner circle, Doron poses as a would-be suicide bomber to get perilously close to his target. Doron gets a surprise visitor while waiting to learn his fate. Abu Ahmed lays out his master plan that could change the region's balance of power. Doron's bosses give him the go-ahead to carry out his plan, but he discovers the toll his family has paid for his obsession with Abu Ahmed. While the team scrambles to give Doron backup on his mission into the lion's den, Walid makes a decision that could change everything. Season 2 of Fauda has 12 episodes. Because different Netflix countries have different availability for episodes, you'll need to check the episode listing below to see which are available in Canada. Doron joins his old team for an operation to take out the mastermind behind a bombing attack -- and who also wants revenge against Doron himself. Tensions rise on both sides as Doron's team intensifies its hunt and Abu Samara hands Al Makdasi an ultimatum. Shirin faces tough questions. Rebuked by Walid, Al Makdasi doubles down on his renegade plan to exact revenge. Doron goes rogue during an operation to offer Shirin a way out. Nidal's plan takes an unexpected lethal turn and backs him into a corner. Shirin reaches out to Doron, putting them both at risk. Doron scrambles to protect his family when Nidal gets too close. Shirin puts a dangerous plan in motion. Walid learns some distressing news. Sensing a chance to strike, Nidal regroups and leads a nighttime raid. While Walid faces interrogation, Doron takes Shirin under his wing. Nidal defends his new allegiance to Samir. Captain Ayub blackmails Abu Samara into helping him lay a trap. Sagi's nerves jeopardize a mission. After discovering Nidal's true loyalties, Abu Maher joins in the effort to track him down. 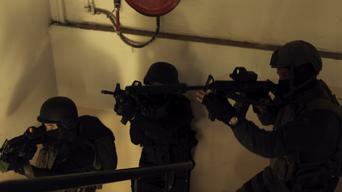 Captain Ayub and Naor escalate their plan to break Walid. With Doron grieving a loss, Shirin faces tough questions and the team carries out a rogue operation to get answers. Nidal sends Maher on a mission. Worried that Doron is sinking into despair, the team rallies to galvanize him to action. 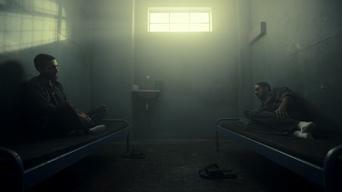 Samir confronts Nidal. Abu Maher makes a discovery. An operation to bring down Nidal backs the team into a lethal corner. Abu Maher makes a heartrending decision, and Captain Ayub learns critical intel. Doron faces a fresh threat as the scope of Nidal's unfolding plan becomes clear, while the team and Abu Samara move to intervene before time runs out.